HELLER’s Global Footprint provides a complete solution – which is typical for HELLER. We are committed to delivering the same high level of service to HELLER customers from any industry, for any solution and anywhere in the world, enabling them to be optimally prepared for changes in the market or in manufacturing requirements and to operate their core business successfully. Sales network with local contacts for optimal customer care and proximity to customers. 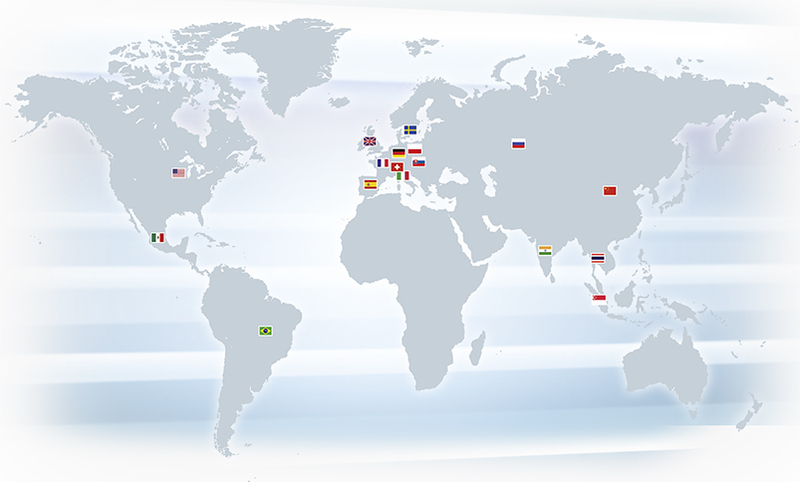 Global service network, guaranteeing optimal availability of machines anywhere in the world. Competence network providing global access to our know-how and experience from all projects. Versatile production and procurement network, guaranteeing quality and supply chain security. HELLER's international network has proven to be a firm foundation of our Global Footprint and for the support of and supply to our customers. Five production locations close to the markets in Germany, England, Brazil, the US and China form a versatile, global production, procurement and logistics network which is continually expanded and optimised. To ensure that we can live up to our brand and quality promise “Made by HELLER” around the globe, the international production network is managed from a central location. Via our network, we support our customers from more than 30 local sales and service bases in the individual markets.